Finman met a boy named Aristou Meehan who had some joint and muscle problems. Since he had troubles moving around and was a huge comic book fan, Meehan had always wanted to have robotic arms like Doctor Octopus from the Spider-Man comics. 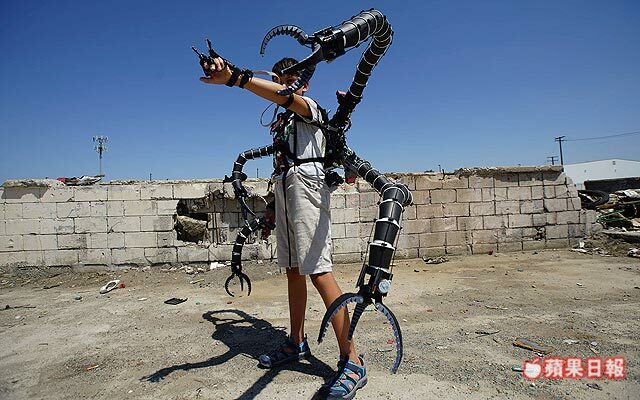 Finman and his engineering team successfully put together a suit that has four robotic arms with claws on the ends that can be controlled by simple hand movements. All the electronics were standard parts, but the larger pieces of the arms and claws were made with 3D printers. You should read the instructions carefully before you put the bicycle together.